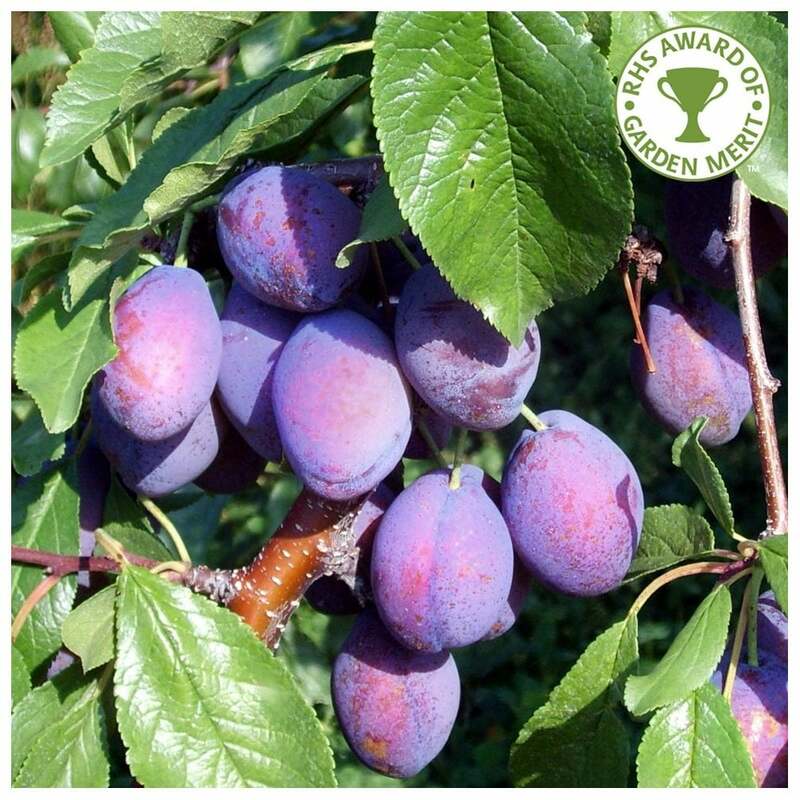 Marjories Seedling plum tree produces large, good quality purple fruits that are sweet with a strong flavour. The plums can be used for eating fresh and cooking, either way they are delicious! As these plums are produced so late in September the blossom is less likely to catch late frosts in the spring so Marjories makes a good choice for cooler positions, prone to late frosts. This plum tree is self fertile so no pollination partner is required, as a dual purpose plum it is a great choice where there is room for just one plum tree. *This is an indication of the un-pruned height of this variety of plum tree on the different rootstocks in 10 years. Variations on these heights will occur when different factors are introduced such as planting position, pruning, geography etc. Plum, Gage & Damson trees will not grow happily in a pot long term, they need to be planted in the ground. All other fruit trees can be container grown. Plum trees should be planted at a minimum of approx. 3m between each tree. Our pot grown Marjories Seedling Plum trees can be planted at any time of the year, whereas bare root plum trees need to be planted between November and March.